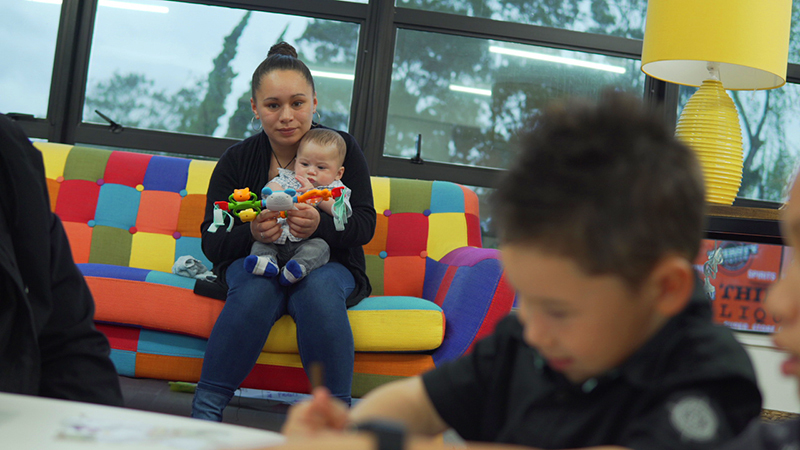 Michelle is a young mother who had to overcome significant challenges in her life to become the mum she always wanted to be for her children Jermaine (11), Wilson (5), Hemi (2) and Riki (4 months). 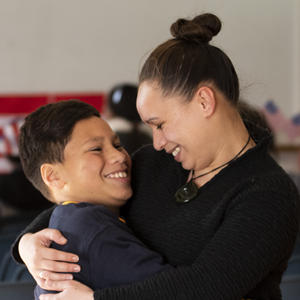 Describing her life as “a struggle,” she had little support from whanau except her mum Jill who Michelle describes as her “rock. Michelle learned that playing with her children builds closeness through fun activities. “I learned how to be a kid again and to get into their mind space.” She also has learnt the value in praising her children for good behaviour and has seen huge improvements in how her children behave, but also in how she reacts to things now. Michelle also gained confidence to parent without relying so much on her mother. Another success for the family was being granted a state house where they finally had a place to call home. Before Incredible Years, Michelle says her boys were undisciplined. She says they would stay up late, and do what they wanted and not get told off. Through working with Maria and the Incredible Years Michelle gained confidence to take ownership of her role as the authoritative voice in her household. Michelle says Incredible Years changed her life. She met other parents who were in the same position. Prior to the course Michelle says she felt isolated. She now realises there are other parents out there too struggling and she recommends getting in touch with FSM and enrolling in the course so it can help them too.